Ahhhh…..love. We know it in so many ways. We first experience it unconditionally from our parents. Many of us still remember the euphoric feeling of a new love. If we are so blessed, we find it in the all-consuming miracle of our children. If we’re lucky enough and work at it diligently we know the love that many years together matures into. Friendships encompass love. We love our sports teams, our favorite foods, a well-worn pair of jeans, cities we’ve lived in, and certain songs. My newest love is watching my husband in his role of grandfather. I watched him change when he became a father but I wasn’t prepared for the transformation that took place when his grandsons came into his life. 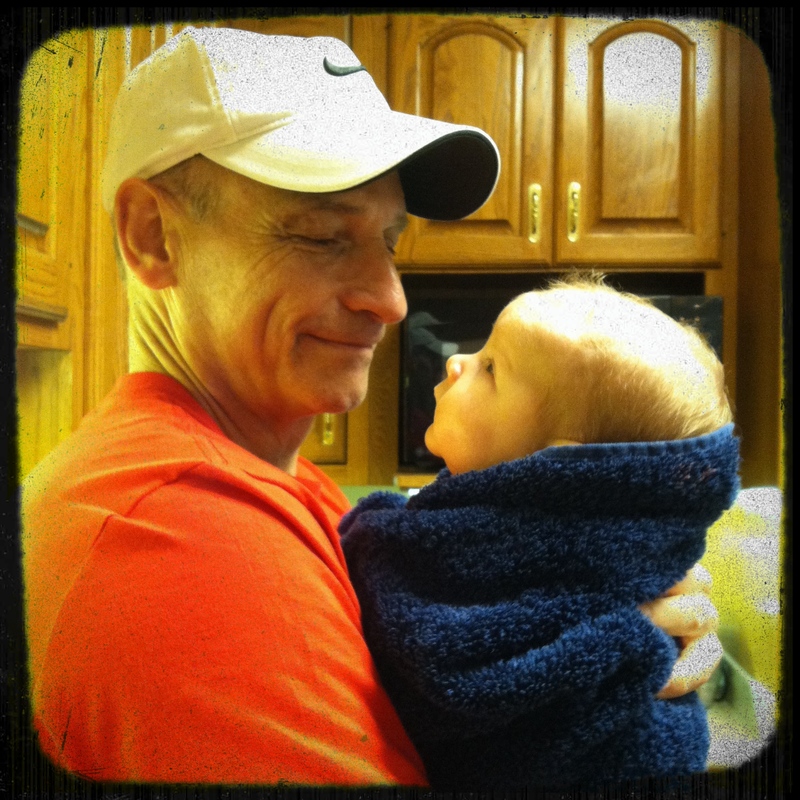 We had the pleasure of having our first grandson live with us for his first twelve months and very early on Jim earned the title of “Grandpa Loco” from our daughter-in-law. 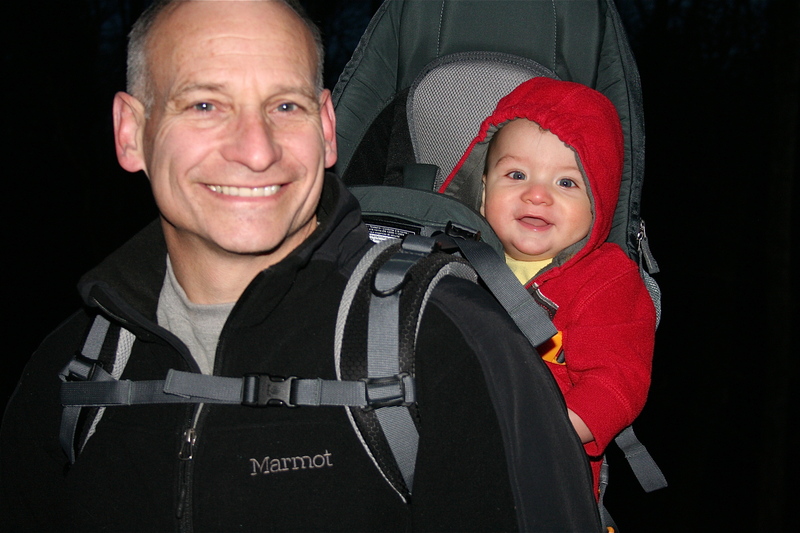 It was quickly evident that there was nothing Jim wouldn’t do for Judah, to include buying the best baby backpack available and taking him on long walks through the woods. There was no line Jim wouldn’t cross when it came to this baby. He was a crazy-in-love grandpa. When Judah started talking the hard c sound was difficult for him to pronounce and so Jim became Grandpa LoLo or simply, LoLo. The feeling between these two guys is mutual. When we Skype Judah is happy enough to talk to me but his face literally explodes with happiness when LoLo appears on the computer screen. If Jim is TDY we have to warn Judah before the Skype call goes through that his grandpa isn’t home. Advance notice softens the blow. And, if the relationship between one grandson and his grandpa isn’t enough, there’s always his little brother to double the love! The bonus is that all of this causes Grandma JuJu to fall in love with Grandpa LoLo all over again every time she sees these guys together. Love your writings just as much as your photos!